Whetstone is an Usable Item in Nioh. "A tool for sharpening bades. It raises the familiarity of any equipped weapon by 150"
Raises familiarity of equipped weapons by 150. The Smithing Text is a hidden reward for completion of Yokai Country on WotSam ONLY. It does not drop on higher difficulties. There will be no in-game message notifying the player. 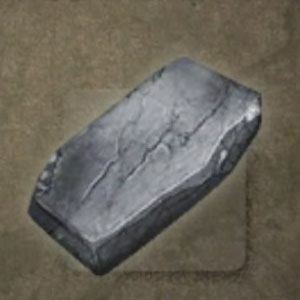 However, upon entering the Blacksmith after completing the mission - the Whetstone will be available. It requires Red Kappa Shell x1 to forge.